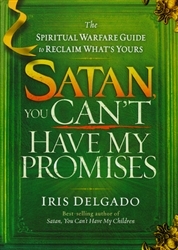 Confront the devil and take back what’s yours! What has the enemy stolen from you? What is rightfully yours? Your identity? Your health? Your family? Your peace of mind? Your passion? God has a purpose and a destiny just for you, and He has promised to give you everything you need to fulfill it. But Satan and his demons would like nothing better than for you to miss these blessings. It is time to reclaim them all. 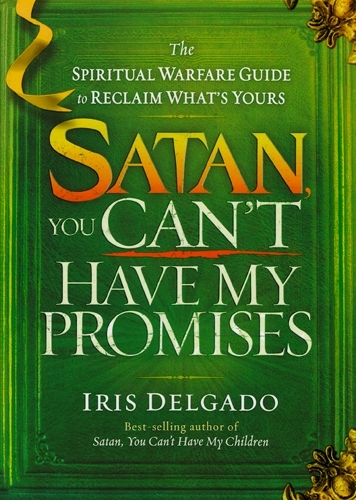 These biblical principles, amazing testimonies, and Scripture-based prayers will inspire you to claim possession of God’s promises and reclaim any part that has been lost to Satan. Chapter 8: Home – Where It All Begins! Iris Delgado is the founder and president of Crowned With Purpose Ministries. With a doctoral degree in theology and counseling, she has traveled the globe ministering with her husband, Dr. John Delgado. She is the author of Satan, You Can’t Have My Children, Satan, You Can’t Have My Marriage and Satan, You Can’t Have My Miracle.